This Charming MOVE IN READY Cape Cod home is in a wonderful neighborhood near St. Jude’s and Lakeside Park. It has only had 2 owners. Lots of great features including: Original hardwood floors, Working wood-burning Fireplace, Eat-in Kitchen, Cedar-lined Closets on the 1st floor, Amish made Kitchen Cabinets, Built-in Bookshelves and Corner Hutches, Walk-in Attic and a Fenced in Back Yard. There are 2 good sized Bedrooms on the first floor and a Huge Bedroom upstairs with tons of storage. French Doors from the Dining Room lead to a fantastic Screened in Porch to enjoy the beautiful Spring/Summer/Fall weather. All appliances and basement shelving stay with the house. Access to the River Greenway Trails that connect to a huge Allen county Trail system is less than 1 mile away on sidewalks. 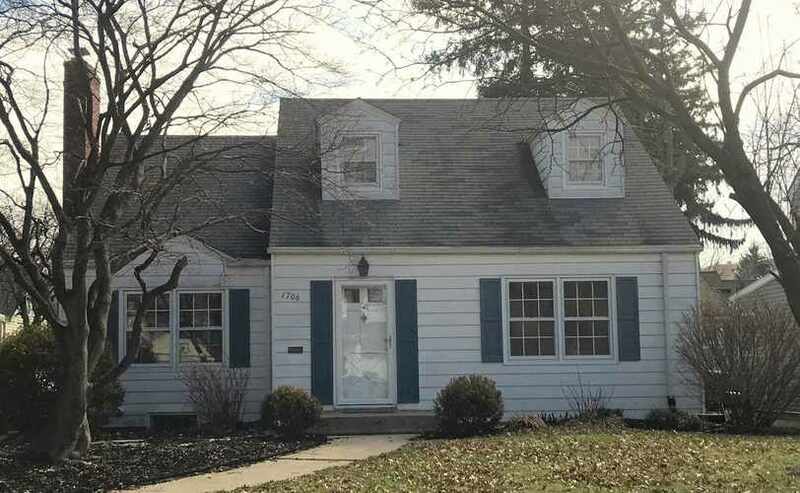 Now is your chance to own a lovely house full of character in a delightful neighborhood close to so much of Fort Wayne's entertainment! Directions:Turn South on Kensington Boulevard from State Street, Turn left onto Nevada Avenue. Turn Right onto Pemberton Dr and home is on the left.